Having read Angel Flight, The Drop, Darkness more than Night, The Gods of Guilt, The Narrows, Nine Dragons, Lost Light, the Poet, the Lincoln Lawyer, The Burning Room, the Crossing and The Wrong Side of Goodbye i would like to read The Late Show by Michael Connelly. This Fast paced thriller features Renée Ballard a strong-willed and tenacious female detective who Was once and up-and-coming detective, but now works the night shift for the Los Angeles Police Department in Hollywood, after filing a sexual harassment complaint against her former boss, Lt. Robert Olivas. She begins many investigations but finishing none as each morning she turns her cases over to day shift detectives. However one night she investigates a number of cases she doesn’t want to part with One, an elderly woman with credit card fraud. Second a transgender prostitute, brutally beaten and left for dead, and the killing of a young woman in a nightclub shooting. So Ballard investigates, with her partner John Jenkins but she is determined not to give up at dawn. So Against orders and her own partner’s wishes, she works both cases by day while maintaining her shift by night. Then the unthinkable happens a mass shooting followed by the assassination of a cop. Her investigations point to the possibility of a Corrupt policeman working in her midst. As the cases entwine they gradually pull her closer to her own demons, however she is determined not to give up her job no matter what the department throws at her. Having read Without Fail, sixty-one hours, The Hard Way, Night School, Never Go Back and Make Me by Lee Child, I would like to read The Midnight Line, the latest gripping and Exciting thriller by Lee Child. It is the twenty second novel to feature Army investigator Jack Reacher who is still shaken by the recent horrors of the previous novel Make Me, When he decides to take an aimless stroll past a pawn shop in a small Midwestern town. In the window he sees a West Point class ring from 2005. It’s tiny. It’s a woman cadet’s graduation present to herself. Jack Reacher is immediately suspicious, Why would she give it up? Reacher also attended West Point too, and he knows how hard it is to get those rings and what she went through to get it. Being a big fan of the Gripping Legal Thrillers by John Grisham would like to read Camino Island the latest novel by John Grisham. It is somewhat of a departure from his usual novels and is set in the murky black market underworld of rare and Valuable stolen books. It starts with one of The most audacious, daring and devastating heists in literary history during which five priceless manuscripts of F Scott Fitzgerald’s only novels are stolen. These are amongst the most valuable in the world and are valued at $25 million. They are taken from a high security vault located deep beneath Princeton Firestone University Library. However After an initial flurry of arrests, both they and the ruthless gang of thieves who took them mysteriously vanish without trace. 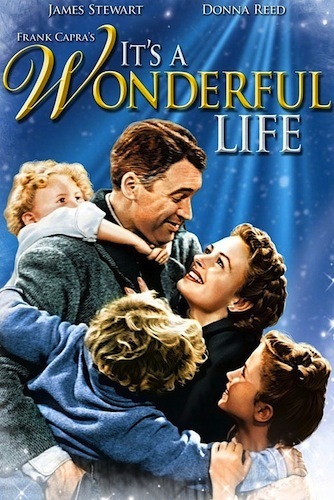 The popular Christmas film IT’S A WONDERFUL LIFE was first released in New York City December 20th 1946. 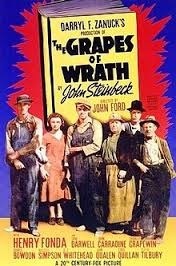 Produced and directed by Frank Capra, it is based on the short story “The Greatest Gift”, written by Philip Van Doren Stern in 1939, and privately published by the author in 1945. The film is considered one of the most loved films in American cinema, and has become traditional viewing during the Christmas season. The film stars James Stewart as a rather dispondant George Bailey, a man who is fed up with life and has given up his dreams in order to help others, who decides to commit Suicide. However his imminent suicide on Christmas Eve brings about the intervention of his guardian angel, Clarence Odbody (Henry Travers). Clarence shows George all the lives he has touched and how different life in his community would be had he never been born in an effort to make George change his mind. However The film was nominated for five Oscars and has been recognized by the American Film Institute as one of the 100 best American films ever made and was placed at number 11 on its initial 1998 greatest movie list, and number one on its list of the most inspirational American films of all time and It’s A Wonderful Life has become an annual fixture which is shown every year at Christmas and is now regarded as a bona fide classic Christmas film the world over.